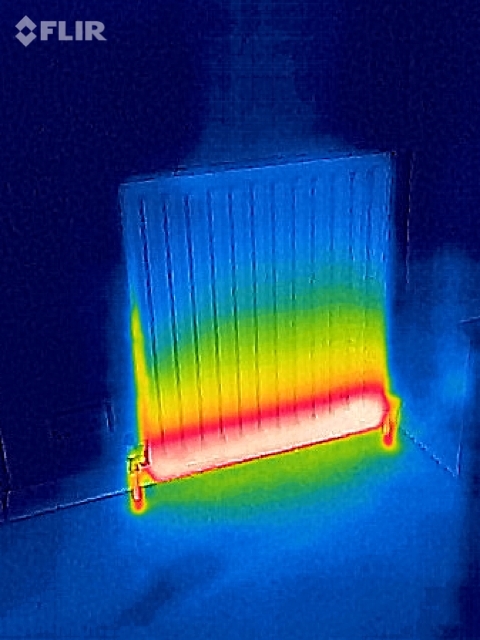 With todays technology it’s easier to see faults with central heating systems by using a thermal camera. These cameras are now more accessible and make a thermal imaging of the heating system quick and informative. These can be recorded or discussed on site and will indicate blockages or circulation problems. Below is an example of a radiator is full of air and requires bleeding. 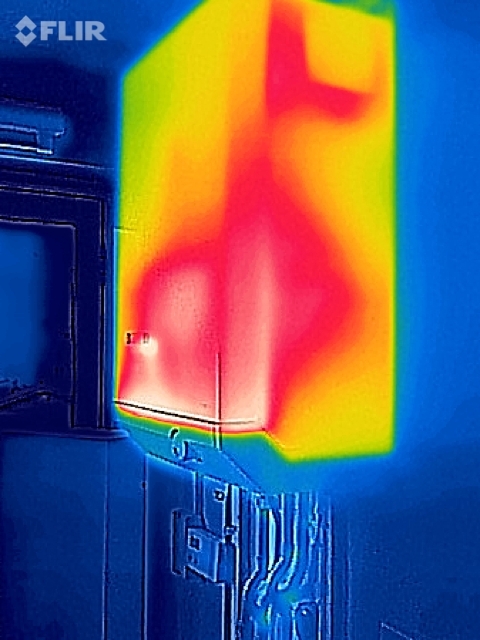 This one demonstrates the heat loss from a boiler case from an old boiler. 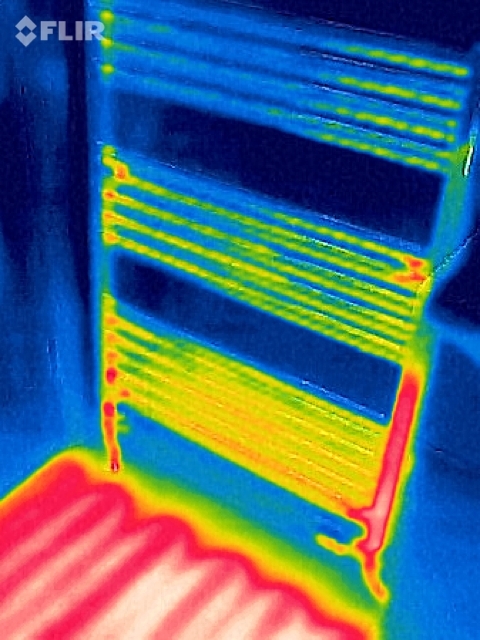 Finally the electric underfloor heating circuit can clearly be seen here in the ensuite bathroom next to a towel rail which requires bleeding. Working in and around Haslemere, Godalming, Petersfield, Farnham and Midhurst, Buxton Heating can respond to central heating concerns using technology demonstrated above.